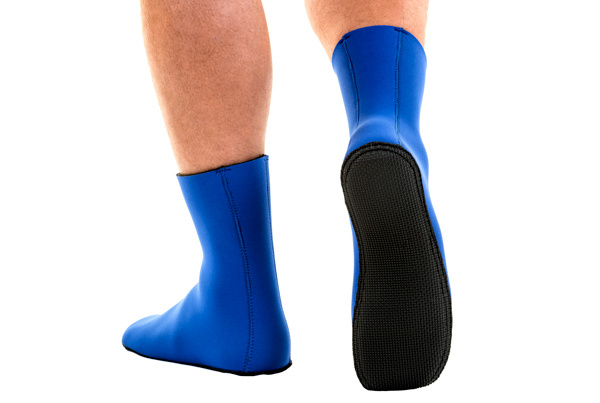 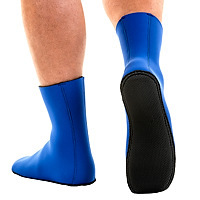 Our Knobby sole boot is designed to provide thermal protection for your feet and have a durable knobby sole that provides protection and grip as a shoe would when walking to the dive site over rocky or rough terrain. 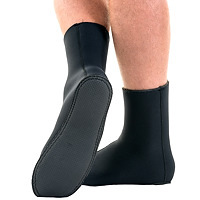 The boot has no zippers, making the it relatively watertight and warm. 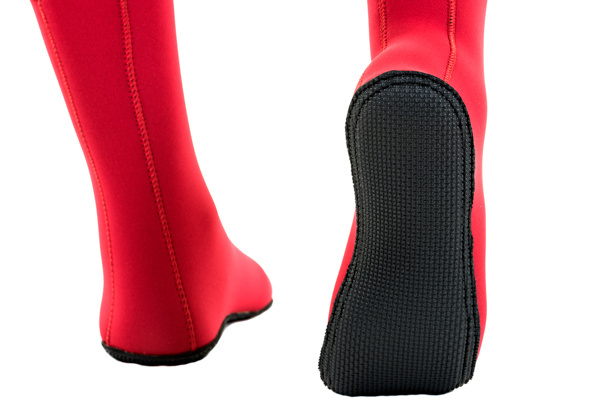 The unique low side profile design allows the boot fit comfortably into most open heel fin pockets. 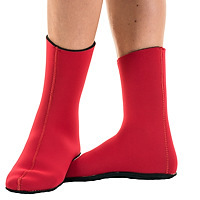 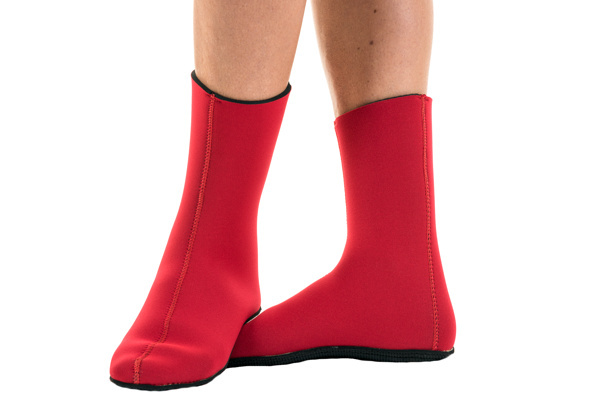 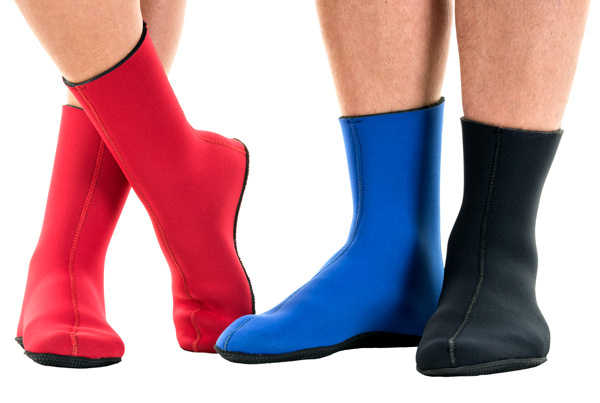 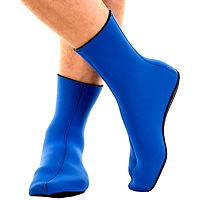 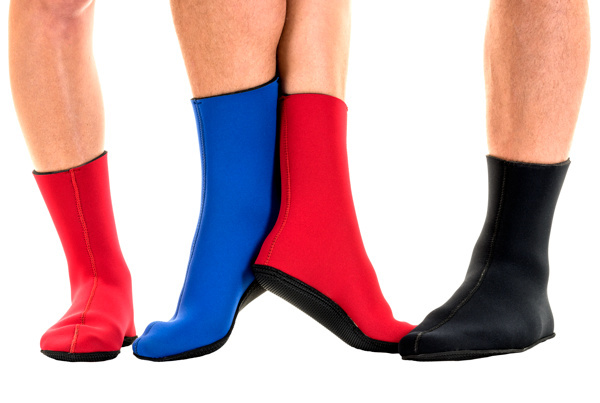 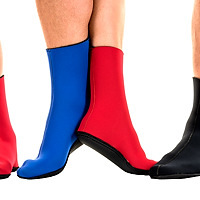 Our boots are made of durable, compression-resistant dive-grade neoprene with a Nylon interior and exterior. 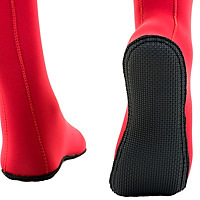 All seams are glued & blindstitched for maximum durability and comfort. 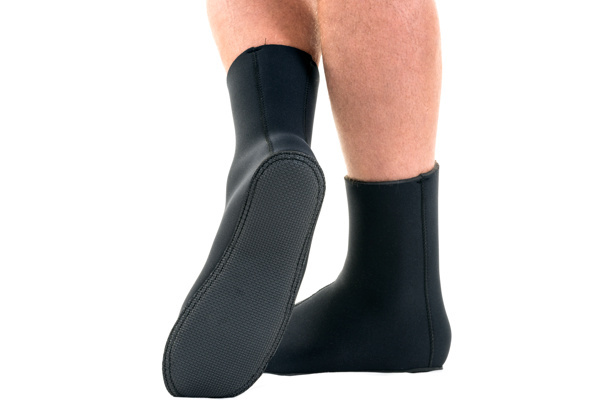 The soles are made from durable black knobby SBR. 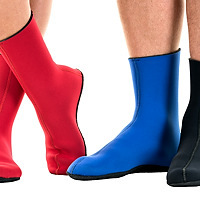 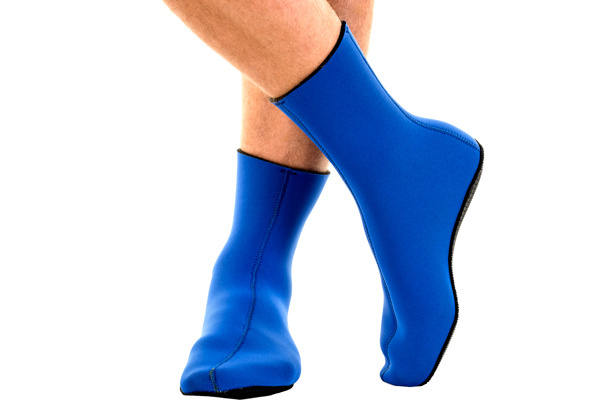 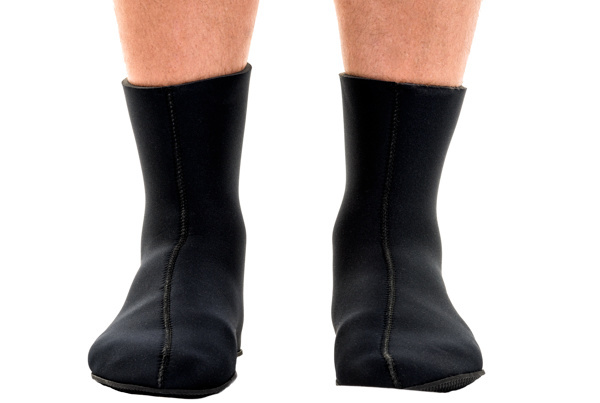 7mm and 5mm boots are available, providing different degrees of thermal protection.